Product review: Spanish for You! I can’t tell you how many foreign language products I have used temporarily over the years. A workbook here, an old cassette tape there, a full program, an online resource. I’ve tried a lot! Some highly recommended, some just cheap alternatives. The reason I have tried so many is because I really want to learn Spanish and teach my kids to speak Spanish, but I can’t do it on my own. Foreign language is not a skill you can pick up casually. I need to have a curriculum to help me in this area. So, when Debbie Annett approached me about her brand new curriculum, still in the works at the time, I could not resist. She comes with years of experience in Spanish and teaching in the homeschool community in particular. She has created her curriculum with homeschoolers specifically in mind. I find this a huge benefit as you are not trying to tailor a program geared toward a traditional classroom or the business traveler (the two main targets of language programs, it seems). She made this for you to use at home with your children, or possibly in a co-op setting. – The diversity of target ages. This is an all in one curriculum that someone with minimal Spanish knowledge could pick up and use with all of their school age kids. Even though the target range starts with 3rd grade, my 1st and 2nd graders were right in there picking up basic vocabulary as well. (I think 3rd grade is a good starting place, I just generally include all of my kids when teaching if possible). – Abundance of materials. Worksheets, audio files, teacher’s guide, lesson plans, activity ideas, visuals, pronunciation guides, etc. This program is well fleshed out with lots of built in resources. 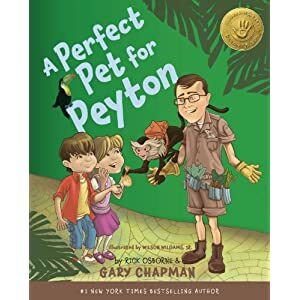 The lessons include pictures in the book, audio files to hear the vocabulary properly pronounced, worksheets for individuals to do on their own, activities to do together, and ideas for review and further teaching. – Lots of built in review. Without becoming redundant, the lessons review, reteach, and repeat the words the kids need to learn. They do not get bored since it is always presented in a new way and language study is such an interactive discipline that everyone stays involved and learning. The lessons are also on the shorter side so they won’t take up a lot of your day, but they will get the job done efficiently. – The audio is at a great pace for learning. It is not rushed through. The words are clear and easy to understand. I do like my kids to hear a more conversational (fast!) pace as they get more comfortable, but for beginners this is a non-intimidating step into the language. Anyone can learn these words with Mrs. Annett’s gentle teaching. – Adaptable and reasonable time commitment. 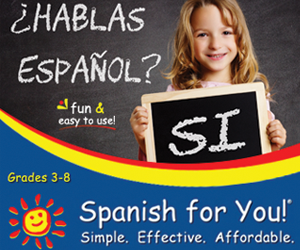 This program is a gentle introduction to Spanish for younger kids, and a more focused beginners’ course for older kids. While foreign language is better done frequently throughout each day (the lesson plans are mapped out for use 4 days each week), you could easily condense the lessons to 2 times each week, and then try to pepper it in throughout the day as well. You will find you are both quickly learning a new language. – While the curriculum is for multiple grades, it teaches the grades differently. So, beyond the first few days, you would likely go through the material more quickly and to greater depth and mastery with older kids, so you wouldn’t actually teach the class the same way to a 3rd grader and an 8th grader. Just take that into consideration when determining how much time is needed to teach each lesson. Review could still be done together, and kids of different ages could study together, but the teaching times would most likely be separate, or at least branch off after starting together. – Some of the audio, especially early on, seems to be a little light on the Spanish accent. I think especially of “calendario” and “martes” among others in the first lesson. Later lessons do not have this issue, but as students get used to pronouncing these foreign words, they might notice that some sounded a little American at first. This actually seems like another way to gently transition kids into the Spanish language. You might want to be aware of it, and even point it out, but also be sure to encourage a stronger accent along with the audios as you and your students gain confidence in your new found language. This curriculum is very user friendly and can be used by someone comfortable with Spanish or someone who really needs a solid Spanish teacher to rely on. You can do this! As a poster in my high school classroom said, “Stamp out foreign languages — learn one!” This program will start you on the road to doing just that. Disclaimer: This product was given to me in exchange for my personal, honest review.